What’s that you say? You’d like to make the world a better place while simultaneously winning fabulous prizes? Option 1 – The Lottery. This is the option most people will want. It’s simple. You hop directly over to the page I’ve set up at Team Heifer, and donate. When you donate using my page at team Heifer, two things happen. After the fundraiser is over on January 15th, we’ll have random drawing for all the swag that’s been donated by authors and publishers over the last couple months. More than a thousand books, DVD’s and CD’s. We’ve had *way* too many books donated for me to post them all up at once. It’s a prize-rich environment, with over a thousand books. So I’ll be putting up a new blog full of donated books pretty much every day or so, just to keep people from being overwhelmed with all the awesome. Make sure to check back often. 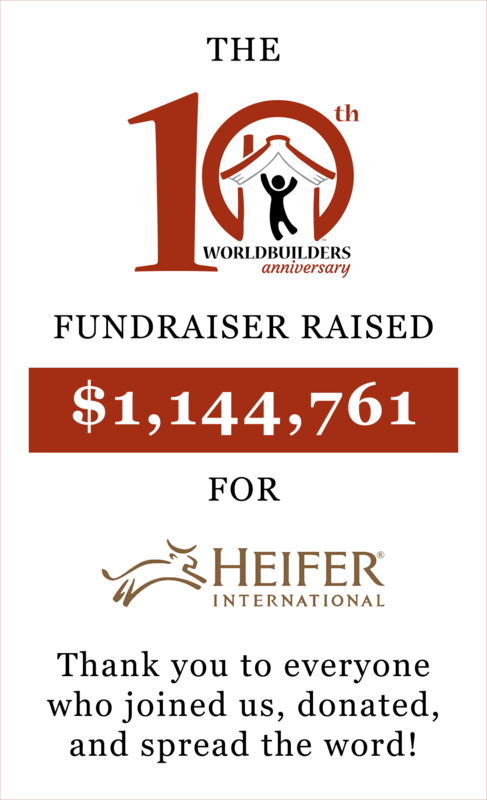 Last year we raised 114,000 dollars for Heifer International. I’m hoping this year we can do even better. Dec 1st – Fundraiser begins. Dec 3rd – 10,000 dollars raised. Dec 10th – 25,000 dollars raised. Dec 25th – 50,000 dollars raised. Jan 6th – 90,000 dollars raised. Jan 10th – 100,000 dollars raised. Well folks, we’ve got about five days left to the fundraiser, and I’ve re-set the thermometer for what I’m guessing is going to be the last time. $106836.28 may seem like kind of a strange target, but I assure you it’s significant. It’s exactly twice the amount that people donated last year. If we can raise it, I think we’ll have pretty conclusive proof for the stunning awesomeness of us. Personally, I think we can make it. But remember, the fundraiser is over at the end of January 15th. So if you’re been waiting to chip in, now’s the time. Option Two: The Sure Thing. For those of you who aren’t interested in the lottery, I have some stuff you can just buy. All the proceeds will go directly to Heifer International. Personalized books from Patrick Rothfuss. This year we’ve decided to auction off some of the rarer items and specialized services people have donated. We’ve got industry professionals willing to read your fledgling manuscript and give you feedback. We’ve got a limited edition Stardust ARC signed by Neil Gaiman and a copy of The Gathering Storm signed by Brandon Sanderson and the production team at Tor. We’ve got original manuscripts, software, and a rockstar’s guitar. Stay tuned for details. I know I’m bound to get one or two e-mails like this. No biggie. But each one is like a cold drop of water eroding my warm fuzzy feeling. If I get, say, a hundred, I’ll have no warm fuzzy left at all. I’ll be left with nothing but a cold prickly feeling. Have questions about the fundraiser? Most of them are probably answered over in the FAQ. Even if your question isn’t answered, I talk about Batman a bit, so it won’t be a complete waste of your time. And, just in case you missed it, here’s the link to the Team Heifer donation page. Special thanks to our sponsor: Subterranean Press. Woo! I’m so excited! I’m going to donate some now. And then wait and see if I can afford more in a week or two! Hey Pat… Any way we can post that thermometer gadget on our blogs? I tried to grab the html but it wouldn’t post right on my blog. 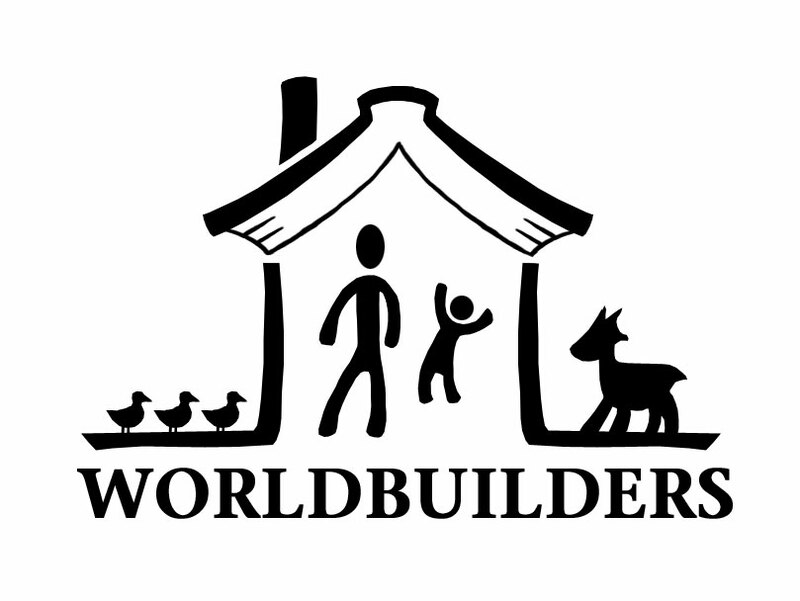 I put the Worldbuilders logo in there for now. WV: bregu. Now THERE’s a name for a character. What a cool organization. 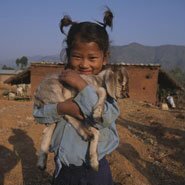 I’ve been donating to Children International for some years now, but after looking at the Heifer organization I was very impressed with the idea. I am so glad you’re doing this again! Thank you for the opportunity to donate to such a worthy cause. I was happy to donate a goat. Never mind the question, Pat. I got the thermothingie on my blog. I think it probably was working all the time but I only looked at it in Compose, not Preview, so it didn’t show up right. Donated with credit card. Wonder what instructions I could have missed……..Isn’t following the steps enough? 10k will easily be made :). Think you’ll have it by friday! Well, poop. I donate to Heifer every year, and donated my goat a couple of weeks ago. Pity there’s no way we can count that toward the Worldbuilders matching thing. I only wish I could’ve donated more!! What a wonderful cause! I did a goat plus a few chicks. I’m looking forward to the signed first edition I purchased as well..YAY! Thanks for the wonderful interesting world you created Pat! done! and my company (Alliant Energy) will match, as well. What’s not to like? Thank you, Pat, for doing this. A trail of links led me here and I just wanted to say how awesome I think this is! I’ve already made my annual holiday donation to Heifer but with the match I’m inspired to make another. And I always get so excited when I see other people spreading the Heifer love! Good luck with your goals. Speaking of goats, I wonder – if you were to donate one full goat, would it would be matched by half a goat or rounded up to a live goat? Pat I think it’s awesome that you do this every year. I hope all our donations really help people. I think I donated 30 dollars, but I’m not sure, since the page gave me an error halfway through. I hate to ask something that was already dealt with in the FAQs, but I haven’t been able to figure out how to get gift cards through the Worldbuilders page. I sent Heifer an e-mail a little while back, but no response yet–I’m sure they’re swamped this time a year. In the mean time, Christmas coming, goose growing fat, etc, and I need this year’s Heifer gift cards! Can someone please enlighten me? Thanks! This is awesome! I’m raising $ for Heifer on a per comment basis on my blog, but when it comes time to donate, I’ll do it through here, to get the 50% match! Hi Patrick! I’m Mags, it’s nice to meet you. I’m with Susan. Very, very cool. I’ll be back come January (I’m keeping my count open through the end of the year) to donate to Heifer here, if that works for ya. Well done! Congratulations Patrick. I can’t leave a chance to help people from pocket of someone else . -Merry Christmas and Happy new year to everyone. I’m Julia, from Ho Chi Minh, Viet Nam. My wish is that wonderful people like you can raise enough money so that organizations like Heifer become (meaning that their assistance is no longer needed). Great work, Pat, thanks for taking part in Nathan Bransford’s challenge as well. If you post a comment at my blog you can juice up my donation too. Happy Holidays! Thanks, Your blog nudged me to finally get my tween boys involved in charity, we went through how to look at charities we want to give to, and then went through about twenty possibilities and ranked them, and then chose which ones we would give during which month for 2010, we gave to the first choices of each for December, and of course, Heifer International made the cut, it gets another month later as well. Now the boys are involved in some of our charitable giving, and know we give to some organizations every month (Doctors Without Borders and NPR), and others frequently (Americares, CARE, Heifer, Dachshund Rescue, water.org, UNICEF, etc). Thanks for the nudge. I love Anon’s idea above, and I might have to steal it for my 3 boys! I just made my pledge donation ($150 for the llama!) through your Team Heifer page. Thanks for helping us leverage our donations to help even more! I hope you make your goal – you are so close! Congratulations!!!! What a good way to start a new year!!! I’ve been doing Heifer for a couple of years already, and I was thrilled to hear that you have your own donation team! It truly is one of the best charities out there. Pat I’m starting to feel sorry for you. Are you sure you can afford to personally pay 50k each year? Anyway, respect for doing this! “It is incontestable that desertification and further human impoverishment will follow the introduction of goats into already degraded areas. But if goats are environmentally disastrous, cows are extraordinarily burdensome economically. A newly lactating animal requires up to 90 litres of water a day, a lot of food and veterinary treatment to cover endemic problems such as scours, mastitis and lameness. While I’m not enough of an expert in this to say whether he is correct that animals cause even more poverty, you might have quoted his last piece as well. “So this year, boycott the donate-an-animal schemes and instead support projects that help people, animals and the environment. Animal Aid, for example, will be seeking support for a scheme to plant 2,000 trees in Kenya’s Rift Valley province. They will bear oranges, avocados, mango, pawpaw, kei apple and macadamia nuts. Such efforts won’t erase the blight of poverty in Africa, but neither will they add to it. Yeah. Someone else posted the link to that article before. Not only is it several years old, written by a person promoting their own charity, and in the opinion section of the paper, but you’ll notice that they never mention Heifer in their article. That’s because Heifer works hard to promote long term environmental sustainability. They educate people about soil erosion, teach them what farming techniques work best in the long term, and only use animals that work well within the local ecosystem. All the information is right on their site if you care to do some actual research. In your ‘Plea for Sanity’ you instruct us to follow the directions. I clicked the link, filled out the required fields, and completed a donation. However, I never saw anything like directions specific to this fundraiser or the lottery. Did I miss something, or was that it? Thanks again for your generosity and providing this opportunity! As soon as you donate on my page, you’re in the lottery. Go ahead. Make your day. Knock that thermometer up to 106,000 (or whatever was exactly DOUBLE last years total). Give us a real goal to rush for. Ya know ya wanna! Hey, Pat. A question: Do the auctions count on the donation thermometer? For instance, the golden ticket is currently at a bid of $15,200, and the thermometer is at about $96,000. So does that mean we are really at $111,200? And then there were other auctions (for manuscript critiques and whatnot) that I didn’t keep track of. So the fundraiser could possibly be over $120,000 now, plus your half, equaling $180,000? Also, feel free to check out my personal blog called Border Jumpers, which I share with Bernard Pollack, at http://www.borderjumpers.org. I think this whole idea is just awesome. I love seeing someone who can influence large groups of people using it for good instead of evil. And baby ducks. Thanks!! Just donated! Go Pat! Did you know your team has donated almost twice as much money as second place on Heifer International? Not that charity is about winning, but it’s pretty awesome! Awesome…What happens if I can only donate 1 goat? Please tell me you’ll round up or find someone who can donate the other half – half a goat would be a pretty sad thing. Rather nice blog you’ve got here. Thanks for it. I like such themes and everything that is connected to them. BTW, try to add some pics :).